Please join us for the CILTNA Annual Spring Transport Outlook Conference. It will be held on May 6, 2019 at the Rideau Club located at 99 Bank Street, Ottawa, Ontario from 7:15 am – 4 pm. 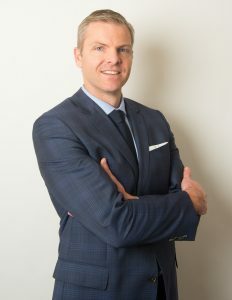 Tim McMillan was appointed President and incoming CEO of the Canadian Association of Petroleum Producers (CAPP) on October 1, 2014. The Saskatchewan native is responsible for leading activities in education and communications as well as policy and regulatory advocacy on behalf of CAPP member companies, which represent over 80 per cent of Canada’s upstream oil and natural gas production. Tim grew up on a family farm near Lloydminster, where the McMillan family first homesteaded more than a century ago. After earning an economics degree from the University of Victoria, he traveled and worked overseas as an Information Technology professional. He later returned to the family farm and founded and operated an oilfield services company. His solid understanding of the oil and natural gas industry from both a business and landowner perspective, coupled with his background in economics, propelled his desire to seek a seat within the Saskatchewan Legislature. In 2007, Tim was elected as a Saskatchewan Party MLA in the riding of Lloydminster. From 2010 until his appointment as President and CEO of CAPP, Tim held several strategic cabinet portfolios in the Government of Saskatchewan, including minister of energy and resources and minister of rural health. Tim lives in Calgary with his wife and their two daughters. The Chartered Institute of Logistics and Transport’s vision is to be recognized globally as the first choice professional body for Supply Chain, Logistics and Transport. Enabling growth within the profession, professional development, reputation and membership.